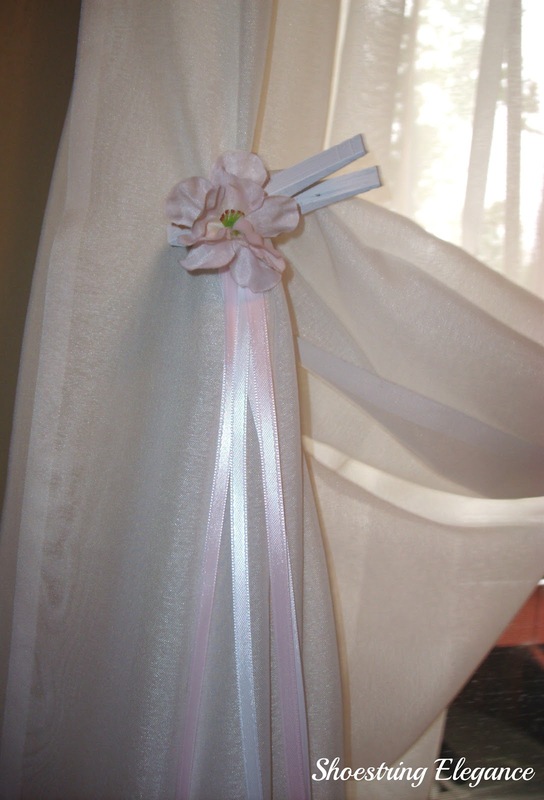 Shoestring Elegance: No Cost Personalized Tiebacks!! Hi, Friends!!! I hope you have been having a wonderful week!! I’ve been out of commission for a little bit with some back issues, but I’m back today with a couple great little projects for you to take and make your own!! Do you ever have one of those moments when you fix something that’s been driving you nuts forever and then look at it and go, Of Course, That’s exactly how to do it? I know some people call this serendipitous (a happy accident) I call it a cool new project to share with everyone else that it’s been driving nuts!! Okay, I know I’m kinda rambling a bit today, but try and stay with me. 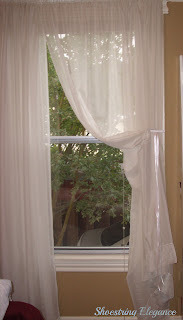 I have beautiful sheer curtain panels in my kitchen and in my bedroom. I love them because they provide some privacy while still letting the light in. In the Spring, I love to open the windows and watch the breeze blow them up. However, in the hot days of summer, I just want them out of the way so that any little wisp of air can blow through and help cool down the house! It was like that the other day, and I did what I usually do, grabbed the curtain nearest the back door and tucked over and around the back doorknob, but it kept falling loose. For some reason, I just opened the back door, grabbed one of my clothespins and pinned the curtain back to itself. That’s it!! It worked! Not only did it worked it looked good, really good. 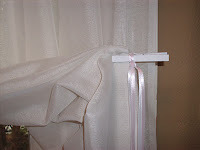 So, I played with the sheers a bit more and loved the way they hung while in the clothes pin. added a silk flower, I thought," Oh my they could even be bejeweled.. "I went through my jewelry box of broken an unmatched pieces and found an earring, not 2 but 1 that’s why it was in this particular box.. I added that to one and couldn’t believe how basic, simple and beautiful and elegant it all looked!! I hope you enjoy them as much as I am!! Love to see how you would decorate it! Come back and share if you make some for yourself... I'm telling you, it's just the ticket!! I promised you a couple projects, I know!! The other one should be up in a few more hours, so for right now to be continued……. This post was featured by the very Lovely Gina @ Random Thoughts! Okay, that's really cute! Can't wait to see the next project, lovey!! Aren't those moments just the most fun and inspiring! Thanks for sharing and linking up on my blog hop. Have yourself an awesome weekend! Thanks Leslie and Nicole!! You guys make me feel so good! Only you would think to re~ purpose clothes pins this way, I have them around my house but would never have thought of this ..... thanks for the info. Cute! I am a person that is always finding other uses for clothes pins! I love what you did here. And I think they are just so charming! I have to go find my junk jewelry now and some paint! Many Blessings to you, as well! Great Idea, I might do this! adore it Theresa- so clever!!! Thanks, Karen!! You're the best! Ok really! 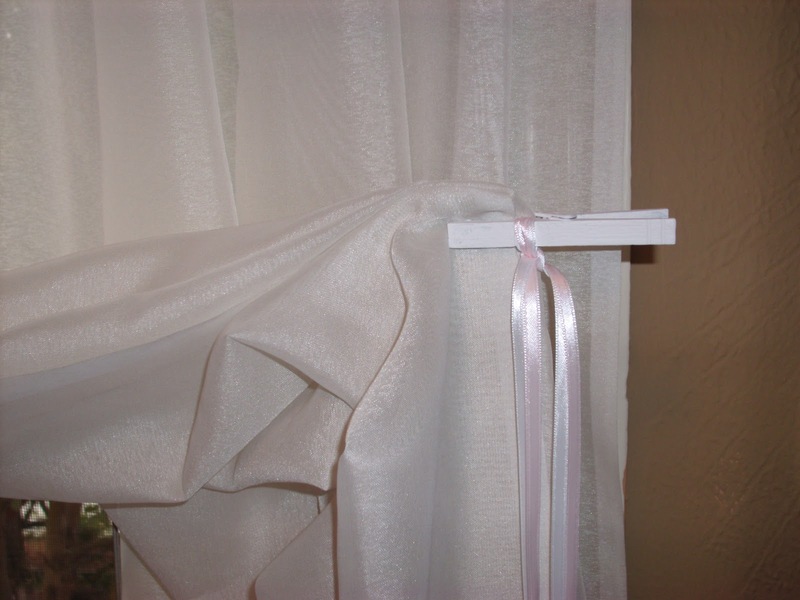 You have just given me a great idea for my shear curtains that I love for just the reason you stated. I am so excited that you chose to share this on The "Sunday Stop"!!! I hope you'll share your version, Bj!! Have fun and Thank you! Glad your back to the blogging world sharing such beautiful projects. OMG! I'm a new homeowner with sheets on my windows still (after 3 months)! This inspires me to get crackin' on the curtains. 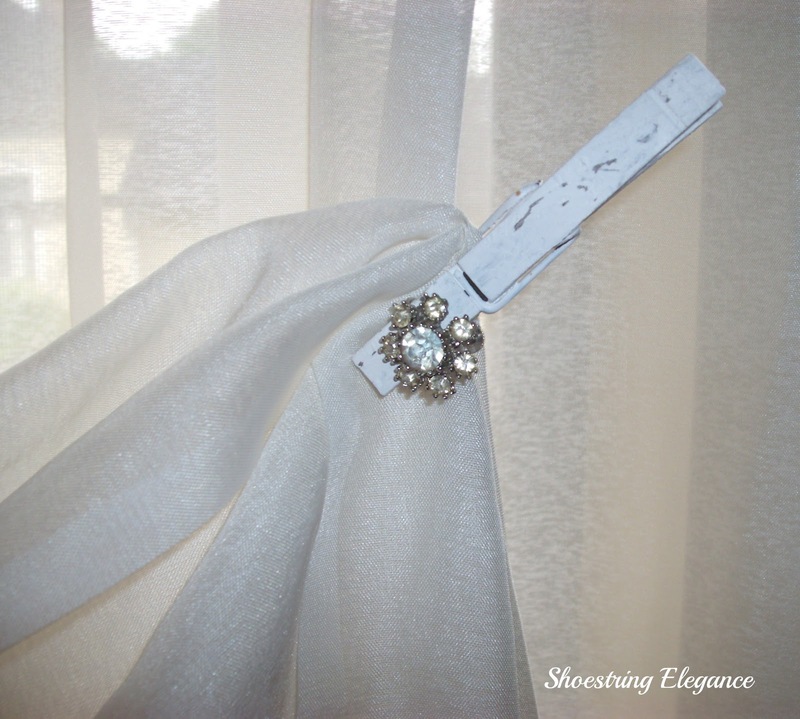 What gorgeous, easy, and cheap tie backs. New follower. Found you on Debbie-do's blog party. Such a sweet idea. I will use this one for sure! Lots of clothes pins are laying around here. I am so glad I found your blog! I am so Glad you all liked this as much as I did!!! Thank you for all your wonderful words and Blessings!!! I hope those of you who said you were going to make your own now, really do and come back and tell me where I can see your!!! Thanks for linking this to Heart& Home. WOW now that's what I so often refer to as 'using what you have'..way to go! 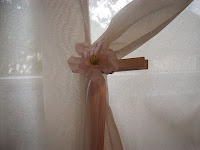 Thanks for sharing at LIKE GRAMMA'S HOUSE blog & STRINGTOWN HOME. dont we have the most FUN!!! What a clever idea and they look so pretty too! Gina, OMGosh, I don't know what to say, except, Thank so very much. What a Blessing you are, you don't even realize...I Love your Blog and feel so completely honored. Thank you Shannon, my Bloggy friend, I'm so glad you liked them! This is such a great idea! I am going to have to see if this works for my slightly heavier than sheers in my kitchen. Thanks so much for sharing on Tout It Tuesday! Hope to see you next week. It works with my canvas ones, in my family room!1 Give it a try!! Great idea. It looks wonderful. Thanks for sharing at the All Star Block Party. Thanks for sharing this creative post on Simple & Sweet Fridays. Love it! Sorry you have been having back issues. That is one spot that really hurts and hard to get better. You are very talented in your creating and decorating. Trust you will have a better week. Fun idea!! Thanks for linking up on Centerpiece Wednesday! I use it plain with my curtains...I guess I could dress them up a little ;) great ideas!!! Pretty. Really pretty in that European REAL shabby chic sort of way. :D Thanks for sharing this week on BeColorful. It's so pretty!! Thanks for linking!